Thank you to all those who bought our calendar. Every copy has been sold and we are delighted with the support we received. For those who missed out, the calendar features fabulous views of Ryhall and Belmesthorpe through the seasons and has been described as “a cracker”. We aim to produce one this year so we urge everyone to keep taking great photos of the parish so we can have a great selection to choose from. 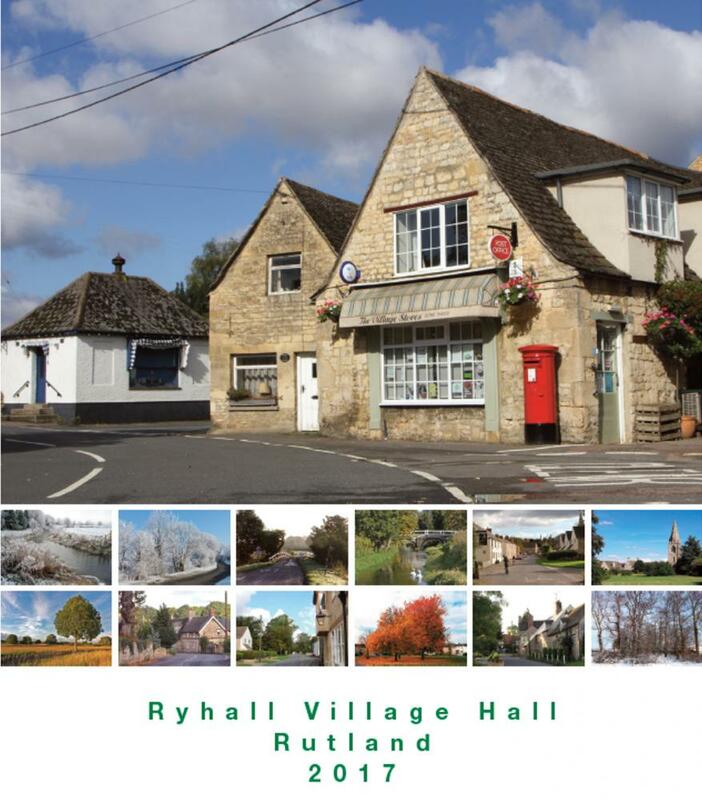 Ask Anne on 01780 754621, or through our www.ryhallvillagehall.co.uk website for more details. As always, the hall is grateful to the local photographers who contributed to this year’s production. It is their unique take on villages scenes that make the calendar so special. Which brings us to an apology. Due to human error (the chair’s), the credit for taking the picture illustrating January was omitted. Adrian Gombault of Belmesthorpe took the marvellous photograph of the river Gwash in deep winter. Adrian is a valued longstanding contributor to our calendar and so to not give him full credit is a disappointment all round. Sorry, Adrian. It is the first time this has happened and we will ensure it won’t happen again.